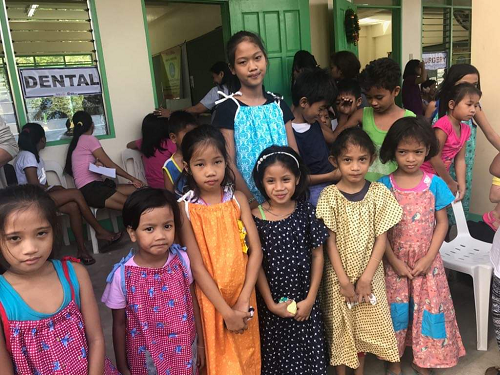 Received this picture today of a dress distribution made last November in the Philippines (Barangay San Isidro of Cainta, Rizal) . This was a parcel that I handcarried in October and handed over to a good friend of mine to distribute. This picture shows a few of the dresses that were given away. Everything was given but the group was not able to take pictures of everyone receiving dresses and/or boys pair of t-shirts and shorts. Thank you to everyone who made this distribution possible.